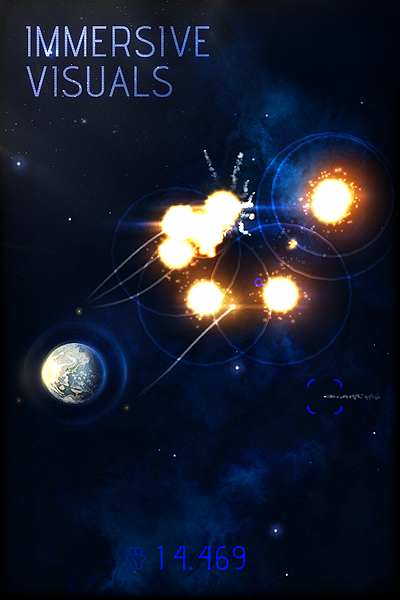 Eve of Impact is a visually beautiful game designed towards short entertaining play sessions. It has some similarities with Missile Command and Asteroids but placed in a more immersive environment. You'll have to deflect or destroy incoming asteroids while the clock runs out on the evacuation of the human race. 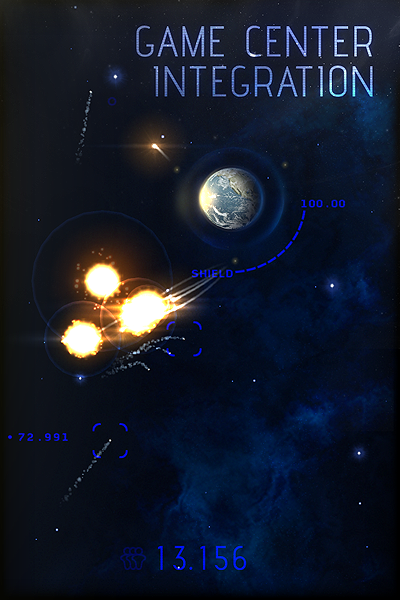 Tap your screen to fire missiles at incoming asteroids, watch the immense explosions push away or shatter their targets. Aim carefully because the more missiles explode the more panic is caused and the slower earth's evacuation progresses. The moment you can no longer hold of the barrage of asteroids you witness the end of earth as it has never been shown in any mobile game. 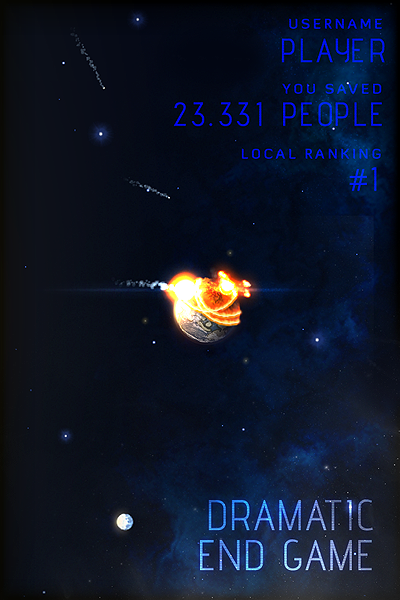 Can you hold of the asteroids long enough, giving mankind a chance to survive? Cinematic lifelike visuals that will pull you in. Challenging fast and strategic gameplay. Unique gameplay influenced score system. Dramatic and thrilling end game animation. Online leader boards and achievements. Ideal for those short pick up and play sessions. Can be enjoyed on both your iPad and iPhone. Eve of Impact was developed by Rik Schennink. It's a compact entertaining game in a big cinematic package that should at the very least 'wow' you a little bit. The soundtrack plays a big role in bringing the cinematic experience, it has been composed by Remy van Dun and really ties the entire concept together nicely. 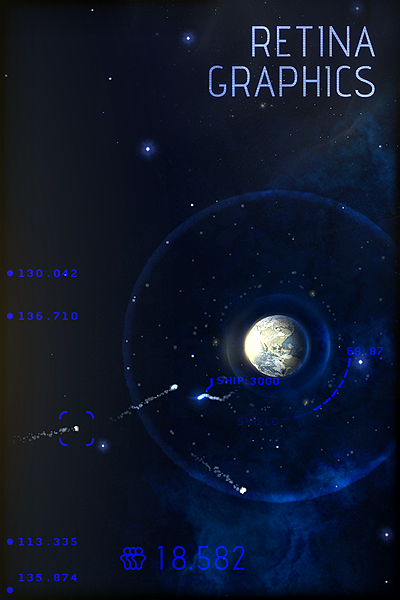 Eve of Impact is a game for the iOS platform, currently it runs on iPhone 3GS, third-generation iPod Touch, iPad and newer devices.